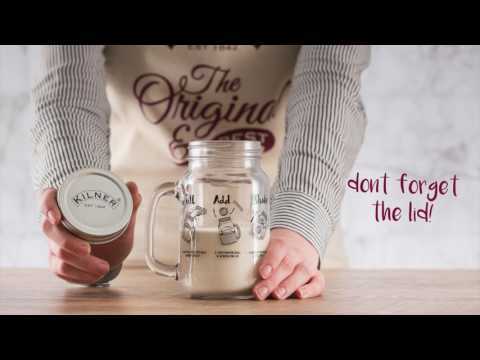 Create your own whipped cream in a matter of seconds with the Kilner Shake & Make Whipped Cream set. All you need to do is pour double cream in to the handled jar, add the whisk ball, lid and then shake! You'll then be able to enjoy your whipped cream immediately or save it in the fridge for later. Creates homemade whipped cream in less than 30 seconds!